One of the greatest things about WordPress is that there is always something new to learn. It doesn’t matter if you have never seen the WordPress Dashboard in your life, or if you have been using it since its b2/cafelog days – you will never know everything there is to know about WordPress. That fact is something I have become more and more aware of. Despite the fact that I write about WordPress for a living, there is still an enormous amount that I don’t know. I can’t possibly focus on every single facet of WordPress, so I have the areas in which I am most comfortable (such as content creation and its associated topics), and other areas in which I would consider myself no more than a beginner (such as theme development). With that in mind, I thought this would be a great opportunity to go back through the archives of all of the 350+ posts I have written relating to WordPress, and pick out my top 50. I had just one rule – each post must be specifically and directly related to WordPress. For ease of use I have broken down the posts into categories. Enjoy! How Many WordPress Plugins Should You Have Installed on Your Site? WordPress Plugin Developers – Showcase Your Wares! That’s it folks! Fifty of the best tips, guides and tutorials I have for you relating to WordPress. The beauty with WordPress of course is that there is always something new to learn – with new themes and plugins being released on a daily basis, and big updates coming around every few months, the advancement of our favorite Content Management System never ends. With that in mind, tell us – what is your favorite WordPress tip? It doesn’t matter if it is a simple one-liner, a plugin, an advanced tutorial, or something else entirely – let us know in the comments section below! Next blogpost:What is the Best Anti-Spam Plugin for WordPress? Excellent collection. Finally I found What I am searching for. Thank you so much for writing this useful tutorial. Greate article.Your website is excellent, and I liked very much to read your tips wonderful all tips and easy way to used and helpful me .You doing is good worked.I will share your tutorial, My friends and I know all friend liked your tutorial.Thank you for excellent tutorial sharing with online. This is a nice list…I’d like to see security broke into its own category and then plugins like Wordfence listed out. I think it’s that important if you are going to be running WordPress as your main site. Also maybe break out themes into a category and list out some of the membership sites you can join for multiple themes. Great work! Wow, this is a big list of tips to go throught. I like the fact that you have already sorted it out. Thanks, this will be useful. Amazing detailed post, a gem for any WordPress beginner. Would love to know your thoughts on a new WordPress plugin which makes localization/translation much easier than what’s out there. The plugin is called Bablic Localization, you can just enter your URL on bablic dot com to see how it works. Would love to know your thoughts and maybe write up since after all Bablic is the next generation of WordPress translator plugins! very true man!! even I am using one of these but was not aware of all of these..
thanks mate for sharing such a useful compilation. 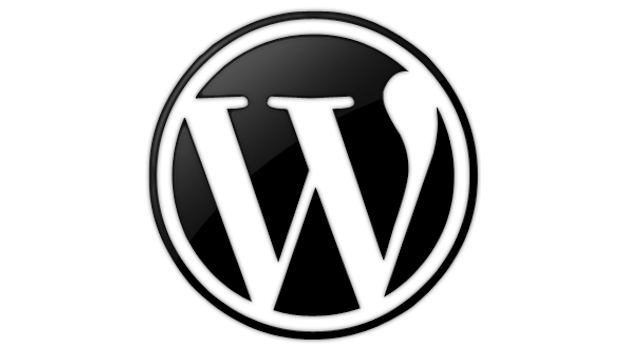 Really awesome compilation of Help ful articles related to WordPress at one place. Great Resource here, gives more than the average beginner will need. You are so right about always something new to learn when it comes to WordPress but it is such a fantastic platform that a newbie can get up and running with their site in no time. Thanks for sharing! This is literally the first website I found with tons of useful info that doesn’t just go right over my head. I’m slowly trying to apply each useful feature to my insurance website. Thanks you for share. Many tips improve my polish fashion website bulid on WordPress. Very informative and important tutorial for the WordPress user. Thanks for sharing. Thx for info..its great post.. Excellent resource! Will take some time to peruse all of these. Nice list, but a few of the links aren’t working. They should all be working now. Thars really great list for theme devlopers to give their customers a source to start with while giving Support. I should provide your post on our support forum. Hey it would be great to make your site responsive for tablet users.